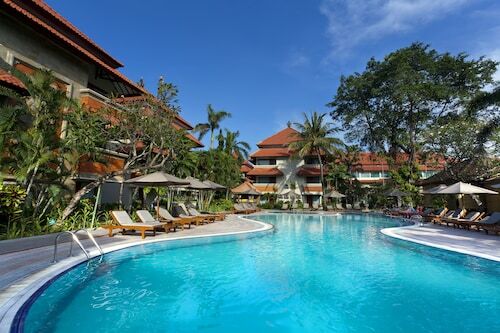 Great location walking distance to everything in Legian and Kuta - but the grounds and garden of the hotel give you a nice respite from the busyness. Best of all was the hotel was quiet and seclusive but 50 meters down the side road entrance was the centre of Kuta , clubs shopping and resturaunts . 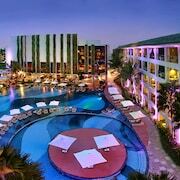 2nd time we have now stayed at the Grand Inna and we highly recokmend this hotel for it location in Kuta and also the frienfly staff that have helped us to enjoy our stay again. 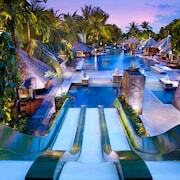 Located in southern Bali, Kuta is home to beautiful beaches, thick vegetation, and impressive culinary creations. 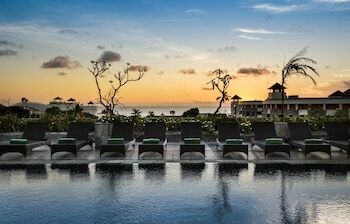 It won’t take you long to see why Kuta is known one of the most alluring tourism destinationsin Bali. Spend your mornings walking along pristine beaches and your afternoons at cultural landmarks like the ViharaDharmayanaKuta temple. 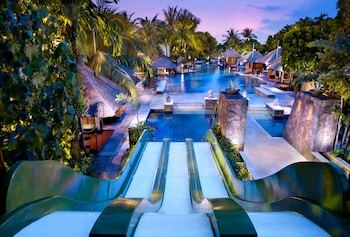 From its circus waterpark to its sea turtle conservation park, Kuta offers an attraction for all travellers. 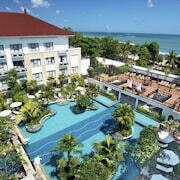 Although the region has maintained its small town charm, there are several notable resorts and hotels in Kuta, Bali. 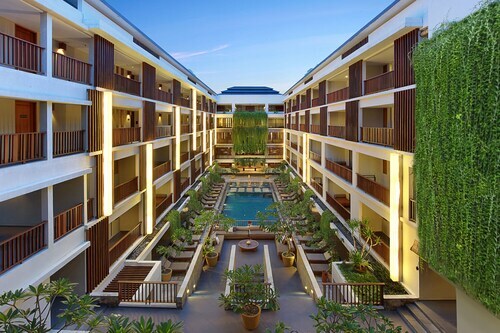 Whether you wish to stay at Kuta beach hotels or a quaint villa nestled among thick tropical vegetation, there is an ideal accommodation for you. 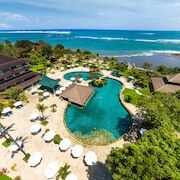 Book yourKuta, Bali accommodationright here through Expedia.co.nz, where we have tracked down the best deals and packages onKuta hotels for travellers just like you. While Kuta can be chaotic at times thanks to crowded streets, there seems to be an undertone of relaxation and calm under the hustle and bustle of the city centre. Infrastructure has developed at a nice pace, making for a bit of a hectic driving experience. Metered taxis and private cars are available to help you navigate the area. You can also rent a motor scooter, which is a popular mode of transportation here. 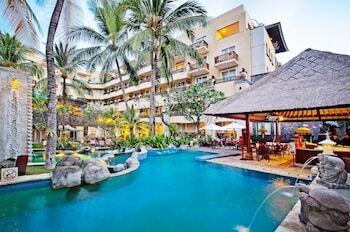 Book Your Kuta Tropical Vacation Today! Whether you've always dreamed of crystal blue waters or look forward to vibrant cultural experiences, Kuta offers an adventure for you. 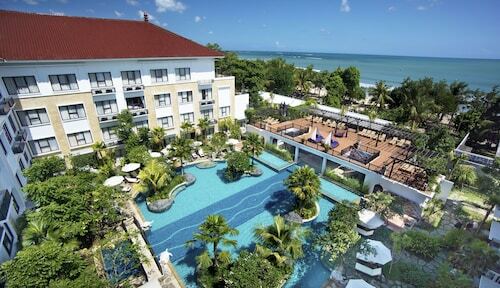 From cheap hotels to lavish resorts, Kuta hotels are designed to take advantage of the area's natural beauty. When you're ready to secure a tropical holiday, browse here to find the best deals and specials. 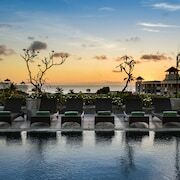 Your excursion in Bali starts right here on Expedia.co.nz today! 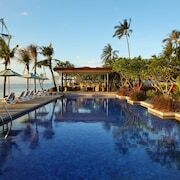 Explore Kuta with Expedia.co.nz’s Travel Guides to find the best flights, cars, holiday packages and more!